Shawn has more than 18 years of program and event management experience with an emphasis in project management, brand identity, communication plans and technology to achieve a strategic vision. He is an Executive Producer and is a detail-oriented business partner who has excellent communication and leadership skills that drive a team to achieve goals while enhancing engagement and recognition within the organization. Before joining August Jackson, Shawn worked at a leading real estate firm in Chicago. For more than eight years, he effectively managed their annual sales meeting, which had more than 1,500 sales professionals in attendance, and consistently achieved an effective meeting score equal to or above 94 percent. He has also produced impactful award programs, charity/give-back events and employee recognition videos, earning high effectiveness ratings from survey results. 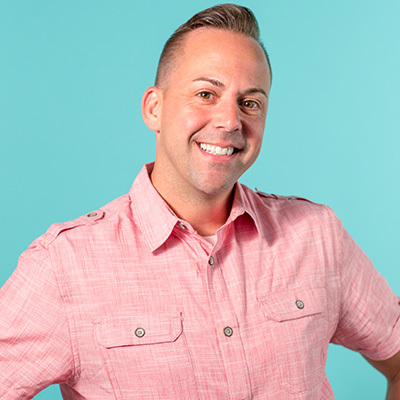 Today, Shawn manages day-to-day logistics for multiple clients and projects, including small to large meetings, pre- and post-meeting communications, charity/give-back events, graphics and speaker support for presentations, producing graphic animations and training videos and more. He enjoys his work and knows how to have fun while accomplishing the client’s goals and strategic objectives.